Big Boi Feat. 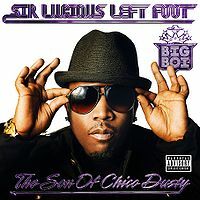 George Clinton, Too Short & Sam Chris / "Fo Yo Sorrows"
Big Boi Feat. Gucci Mane, Bun B & Project Pat / "Shine Blockas (Remix)"
Harold Melvin & The Blue Notes / "I Miss You"